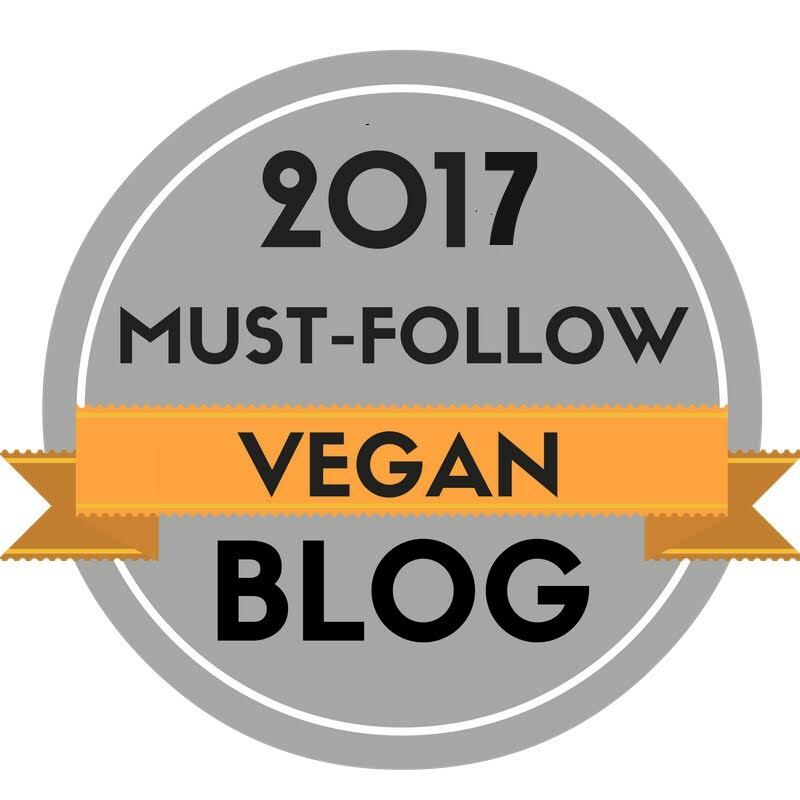 Vegan, Dairy-free, Egg-free, Wheat-free, Gluten-free. I decided to make an Indian Recipe for my Mum as she loves Indian Food (as much as i do).Its the first true indian Recipe i have made. 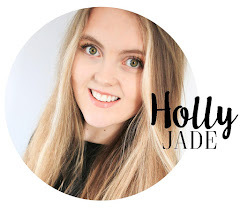 I took Inspiration from ''Food&Spice'' which is an amazing Blog, so go and check it out! I changed a few of the Ingredients from their version & i added some extra Protein (Chia Seed). 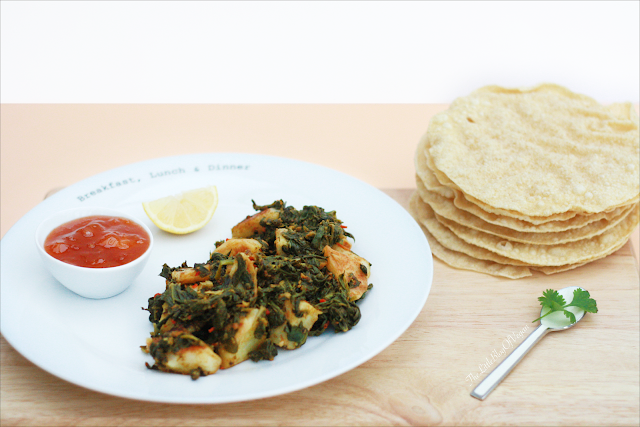 Indian Food is very versatile and delicious, as they use a lot of Spice, herbs & flavours. This Dish is also versatile as you can enjoy it as a starter with Mango Chutney & Popadom or as a main with Rice & Vegan Naan Bread. This Recipe takes around an hour to prepare & cook, and serves (as a starter) 3-4 hungry tummies and (as a Main) 2-3 hungry tummies. If you would like to serve more, just double up the Ingredients. 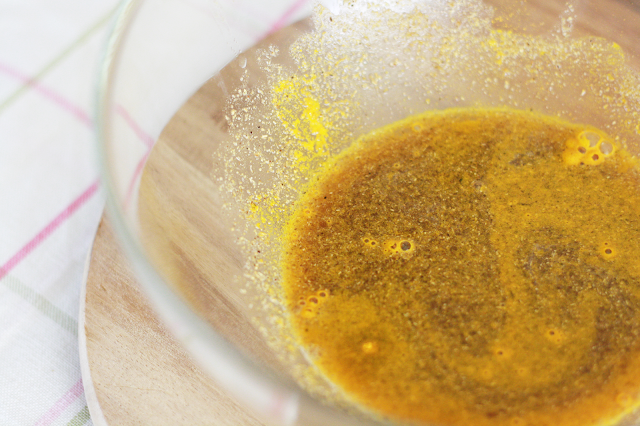 Step 1- In a medium sized bowl, mix together the Spices along with the Lemon Juice, Water & Sugar. Whisk together with a Fork until fully combined.Cover and place aside. 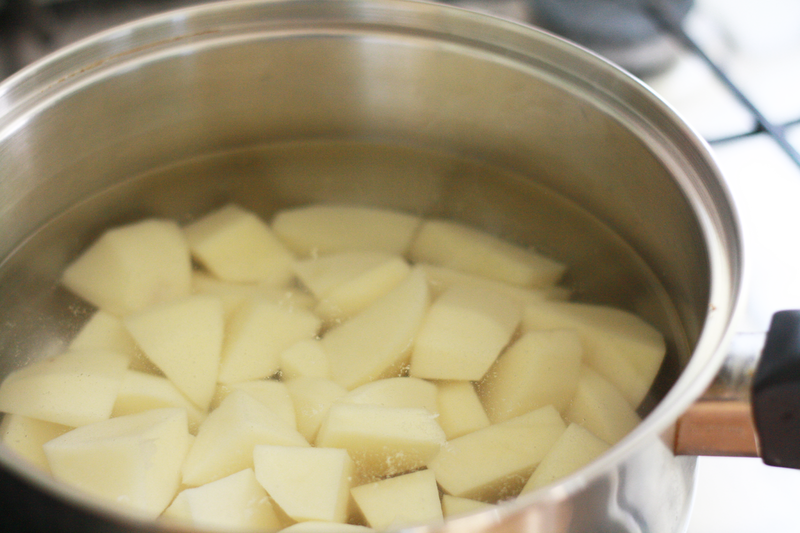 Step 2- Peel, wash and chop the Potatoes into small wedges and place into a large pan of boiling water, turn the heat down to low and simmer until the Potatoes are part cooked & tender. Becareful not to over cook the Potatoes. Step 3- Drain the Potatoes and leave to one side to cool. 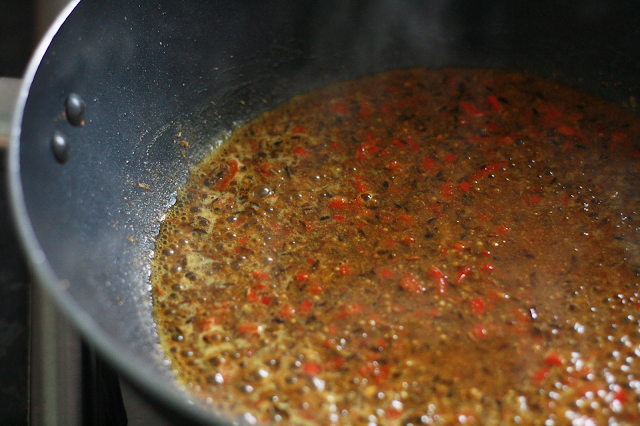 Step 4- Heat the Oil in a large Wok or Frying Pan over a Medium heat. 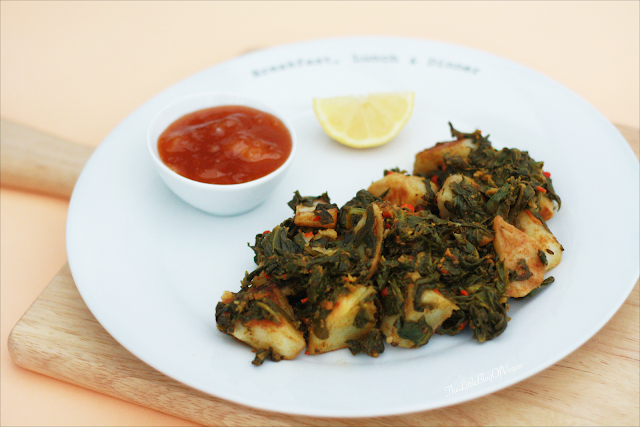 Once the Oil is hot, add in the Potatoes and Fry until they are light/golden Brown. 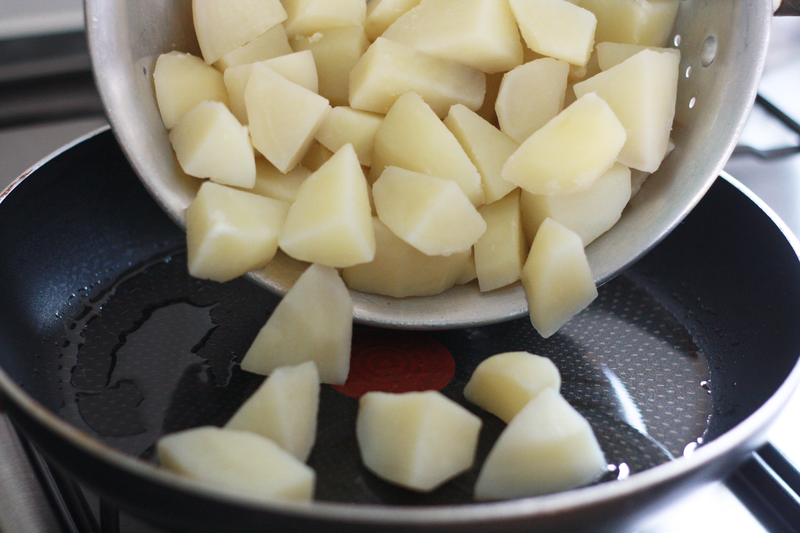 You will need to turn the Potatoes often but try not to brake them. This will take around 10-15 minutes. 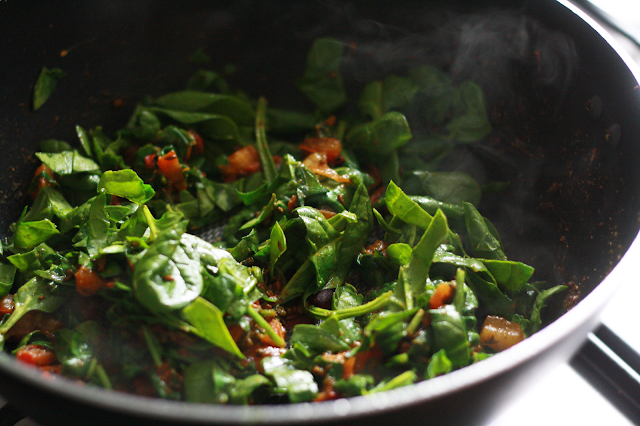 Step 5- While the Potatoes are frying, prepare the Spinach, Chilli, Tomato & Ginger. 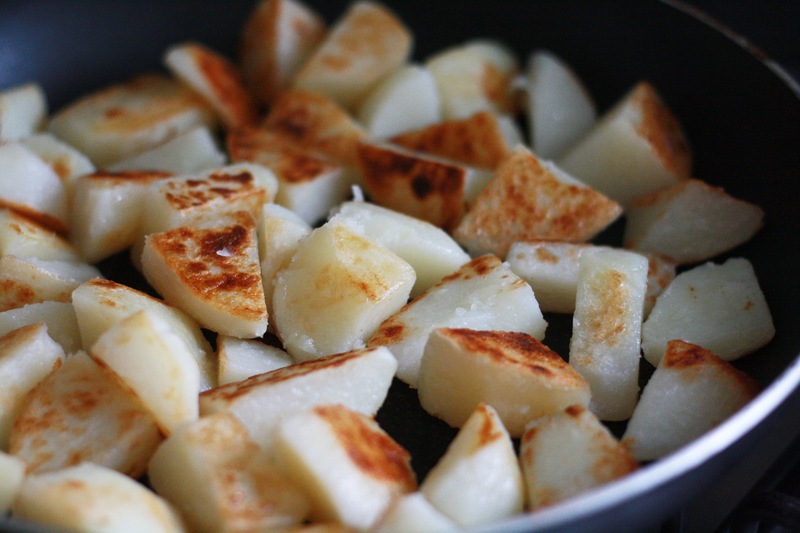 Step 6- When the Potatoes are golden brown, remove them from the Pan and place aside. 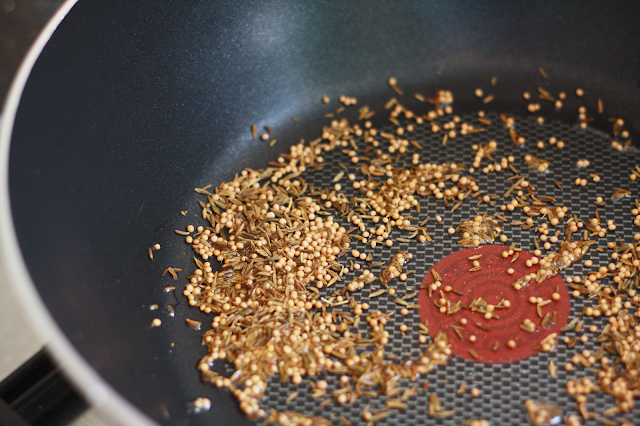 Step 7- In a Wok or Large Pan, add the Mustard Seeds & Cumin Seeds with a little Oil, and on a Low heat, fry until they begin to Pop and turn brown. Keep them moving so they don't stick to the Pan. 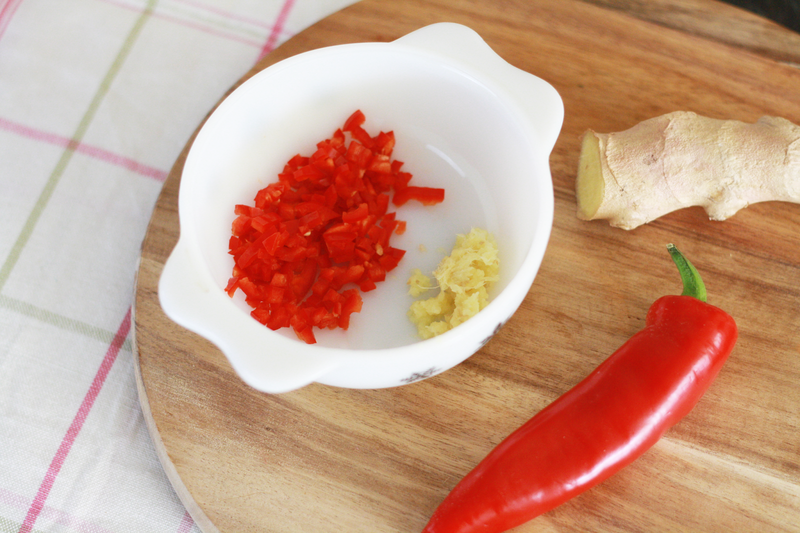 Step 8- Add the Chilli and Ginger to the Pan. Gently heat for another minute. Step 9- Add the Spicy, Liquid mixture to the Pan and stir with a wooden spoon.The Water will evaporate which will take a few minutes. 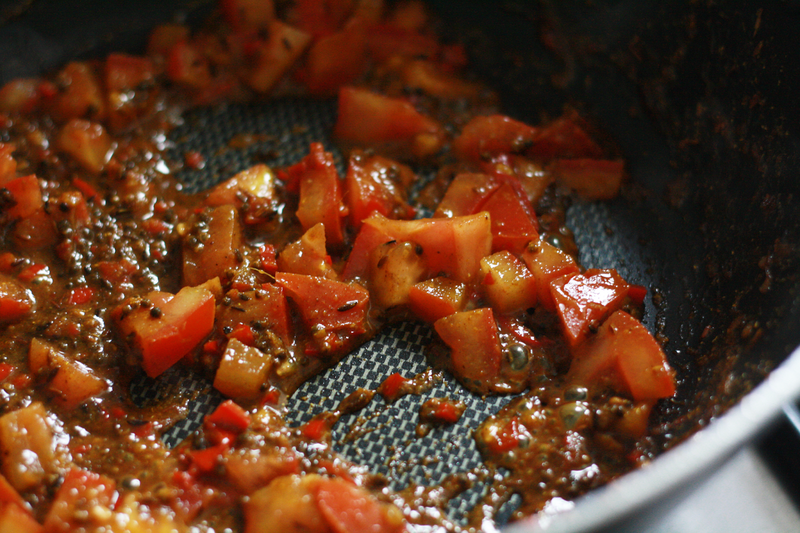 Step 10- Once the water has evaporated, add in the chopped Tomatoes and cook for 4-5 minutes. 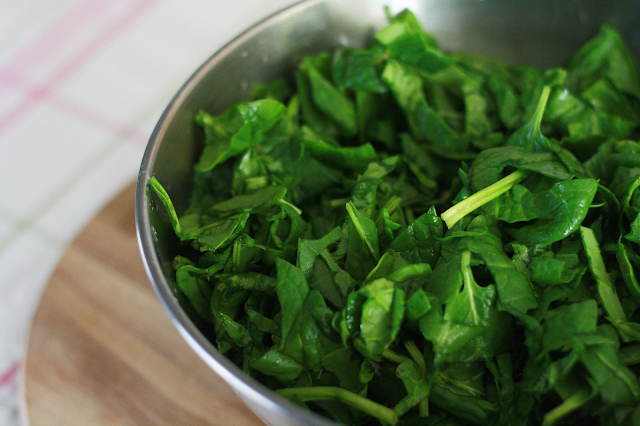 Step 11- Add the Spinach a large handful at a time. 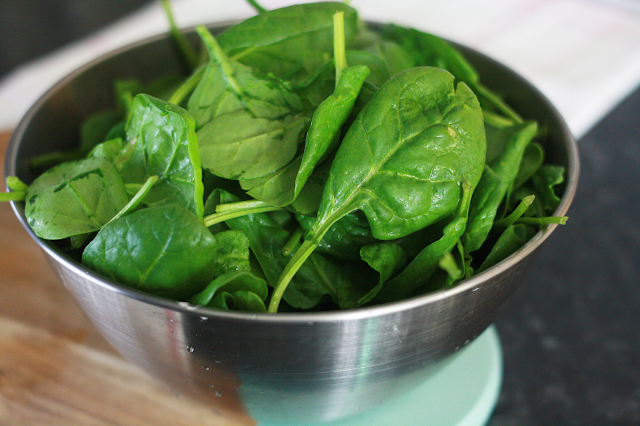 Cover the Pan with a lid and allow the Spinach to wilt. You will need to keep string occasionally. This will take around 8-10 minutes. 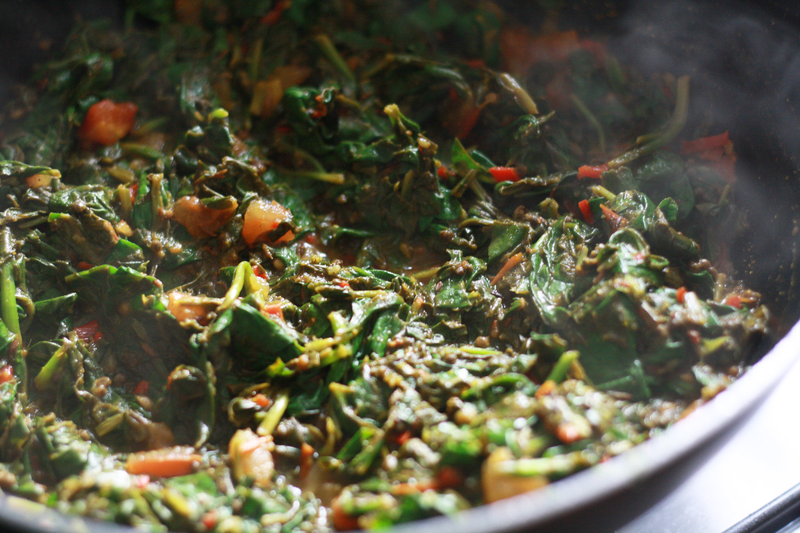 Step 12- After the Spinach has wilted, remove the lid and continue to cook for a few more minutes until most of the liquid has evaporated. Step 13- Now's the time to add in the cool Potato wedges. 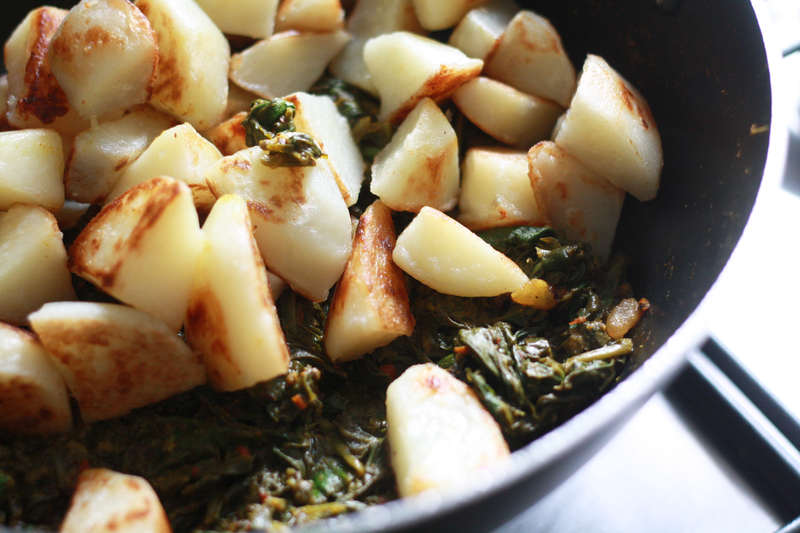 Gently heat for another 5 minutes whilst stirring the Potatoes into the yummy Spinach curry mixture. Plate up and enjoy! 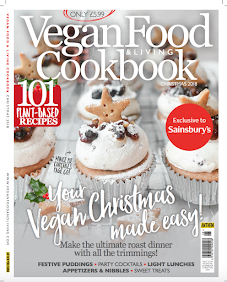 Add some extra Protein with a sprinkling of Chia Seeds!